In the fall of 2012, I attended the annual conference of the American Medical Writers Association (AMWA) in Sacramento, CA. I volunteered to write a summary of a session about identifying and differentiating food allergies and intolerances. It's a topic that's, naturally, near and dear to my heart (and belly). This session summary was originally published in the Spring 2013 issue of the AMWA Journal, Electronic Edition. 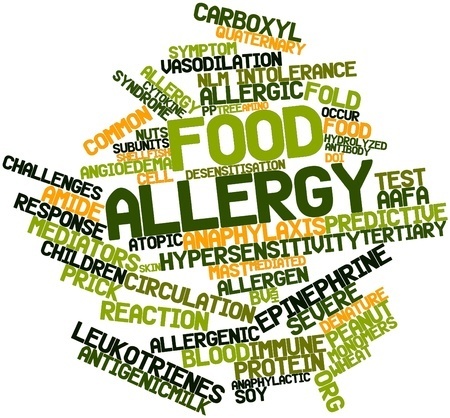 An increased awareness of food allergies and intolerances has been accompanied by misconceptions that can lead to adverse health outcomes, according to Karen Kafer, RD. This session provided science-based information about these concerns as well as recommended strategies for identifying food allergies and intolerances. Food allergy—An immune response that occurs reproducibly upon repeat exposure to a particular food, specifically the protein in the food. IgE antibodies are produced during initial exposure to fend off the “foreign” protein during any repeat exposure. With a food allergy, anaphylaxis is possible. Food intolerance—An adverse physiological effect that also occurs reproducibly upon repeat exposure to a food; however, no IgE antibodies are produced. Adverse reaction—An abnormal response to food because of the presence of infectious (bacterial, viral, or parasitic), food-borne, or water-borne contaminants. Dr. Keith explained that the clinical features of these different types of food sensitivities can be similar, so she recommends diagnostic evaluation to determine which mechanism is at work. Otherwise, many people self-diagnose and unnecessarily avoid entire categories of foods, which can cause nutritional deficiencies and other health problems. Symptoms of lactose intolerance include abdominal pain, cramping, bloating, and diarrhea that occur when an insufficient amount of the enzyme lactase is produced by the villi in the small bowel to break down the milk sugar lactose. Without sufficient lactase, the excess sugar escapes to the colon where gut bacteria breaks it down for absorption, causing symptoms in some people. According to a 2009 study in Nutrition Today that Dr. Keith cited, 12% of adults in the United States reported being lactose intolerant. 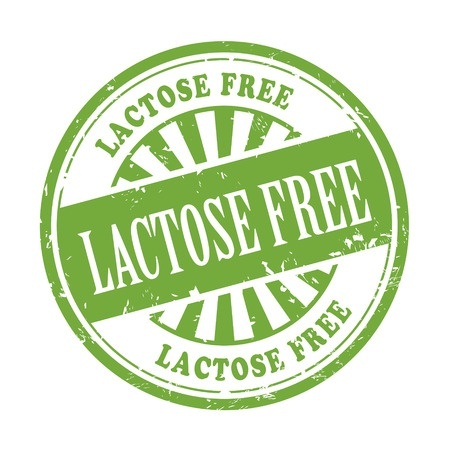 (1) The prevalence of lactose intolerance varies by ethnic group: European Americans, 7.72%; Hispanic Americans, 10.05%; and African Americans, 19.50%. Dr. Keith explained, however, that it is important to maintain sufficient intake of calcium and dairy foods. For those who do, the risk of developing hypertension and diabetes is reduced by a third. She noted that most Americans do not consume enough calcium and that even patients diagnosed with lactose intolerance do not need to exclude all traces of dairy products from their diet. According to Dr. Keith, the gold standard for diagnosing lactose intolerance is the hydrogen breath test, which is the least expensive, least invasive, and most available method. Non-celiac gluten sensitivity—An immune response, which is not autoimmune, that results from ingesting gluten. Although gut inflammation is present, the villi in the small bowel are normal. Celiac disease—An autoimmune disease that occurs in response to ingesting gluten, which damages the villi in the small bowel. Because of villi damage, celiac disease can coexist with lactose intolerance. 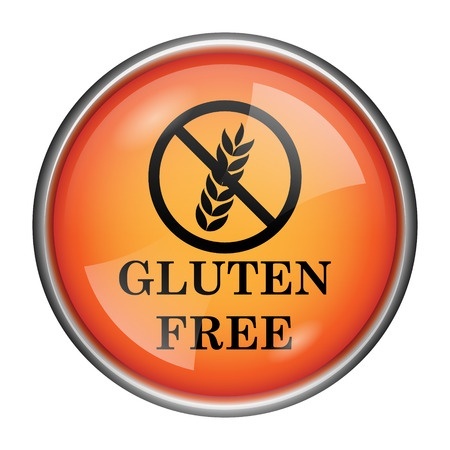 Dr. Keith stated that in people with non-celiac gluten sensitivity, symptoms improve on a gluten-free diet. For those with celiac disease, a gluten-free diet is required to stop progression of the disease. Dr. Keith provided these statistics about celiac disease: In the general population, the prevalence of celiac disease is 1 in 100. For those with gastrointestinal symptoms present, the prevalence increases to 1 in 56. For those with a first-degree relative with celiac disease, the prevalence increases further to 1 in 22. Dr. Keith recommends screening for this disease in any patient who has been diagnosed with diarrhea-predominant irritable bowel syndrome. However, a fifth of patients with celiac disease initially have no symptoms, she stated. In addition to the nonspecific gastrointestinal symptoms common to all the “masqueraders,” Dr. Keith explained, other indictors of possible celiac disease can include anemia, osteoporosis, constipation, and abnormal liver tests. The diagnosis of celiac disease requires compatible clinical symptoms and serologic testing. In most cases, Dr. Keith recommends the immunoglobulin A tissue transglutaminase (IgA tTG) blood test. For the 2% to 3% of the population with an IgA deficiency, she recommends the IgG tTG test. If serologic testing is positive, the gold standard is to confirm the diagnosis with a small-bowel biopsy. If the diagnosis is unclear, genetic testing can be performed. If a patient has already begun a gluten-free diet, serologic testing might be negative, even if the patient has celiac disease. However, Dr. Keith noted, a gluten-challenge diet is no longer recommended for such patients. Unfortunately, no medical tests can confirm non-celiac gluten sensitivity, but an elimination diet can prove useful. Duyff noted that the unintended consequences of grain avoidance (particularly whole grains fortified with nutrients) include the loss of complex carbohydrates as an energy source, and deficiencies in fiber, magnesium, selenium, iron, the B vitamins, and folic acid. The health benefits of consuming whole grains, Duyff noted, include a reduction in constipation and heart disease risk, and assistance with weight control. In addition, grains fortified with folic acid consumed before and during pregnancy can help reduce neural tube defects in the fetus. Duyff described the case study of an 8-year-old boy named Daren who suffered from itchy eyes, swollen lips and tongue, sneezing, and nausea. 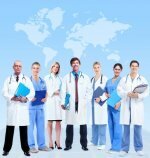 On the basis of his medical history, food diary, physical exam, and an elimination diet, lab testing was performed. He underwent a skin prick test, RAST (radioallergosorbent) blood test, and food challenge test. Daren was diagnosed with allergies to wheat and dairy, which are common allergies in children (as are allergies to eggs, peanuts, soy, and tree nuts). Duyff explained that with wheat, the food allergy reaction is to the proteins albumin and globulin fractions. With dairy, the reaction is to a milk protein, for example, casein. For Daren, all milk and milk products must be avoided, and all wheat products and foods made with wheat must be avoided; however, wheat substitutes, including rye and barley, can be safely consumed. Learn which foods contain the allergens Daren must avoid and which foods are risky. For example, most soy sauces contain wheat. Note that Food and Drug Administration labeling regulations require a “contains wheat” or “contains milk” statement on product labels, when applicable. Diligently read food labels, and contact food manufacturers with questions. In the kitchen and at the table, avoid cross-contamination of food allergens into allergy-safe food. For example, use separate containers and utensils for foods prepared without food allergens. Make recipe substitutions. For example, one cup of wheat flour can be replaced with ¾ cup of rice flour plus ¼ cup of cornstarch. Also, fruit juice or coconut milk can serve as substitutes for regular milk. Be just as vigilant when away from home, reviewing menus ahead of time if possible. Develop a plan with school personnel. Address food substitutes with the food service staff or have Daren eat home-prepared food. Make sure that Daren knows the symptoms of an allergic reaction and what he should do about them, such as how to signal for help. Also, educate Daren about why “food swapping” with friends must be avoided, and equip him with a personal emergency card and his parents' phone number(s). Plan with the healthcare provider, other responsible adults, and Daren himself for giving medication, if needed. Alysson Troffer, a technical communicator in the information technology industry for 16 years, recently left her position to pursue a career in medical writing and editing.